The babelcast-mosaic is an algorithmic, computer-generated podcast series created from fragmented and distorted sounds of U.S. and World leaders. Juxtaposed and mixed with dynamic noise textures, the resulting ambient soundscape offers a unique musical perspective on mass media, language, and current events. This enhanced version adds algorithmically selected and manipulated still images. Each edition is built exclusively from sounds and images harvested within a defined period of days. Etemenanki (Sumerian: “temple of the foundation of heaven and earth”) was the name of a ziggurat dedicated to Marduk in the city of Babylon. It was famously rebuilt by the 6th century BC Neo-Babylonian dynasty rulers Nabopolassar and Nebuchadnezzar II. 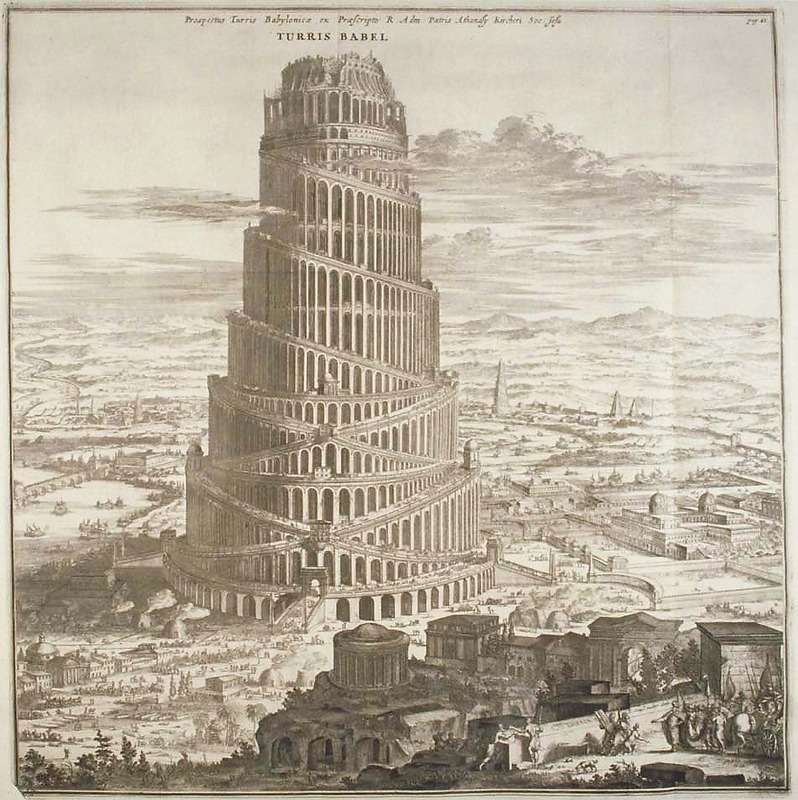 According to modern scholars such as Stephen L. Harris, the biblical story of the Tower of Babel was likely influenced by Etemenanki during the Babylonian captivity of the Hebrews. The Greek historian Herodotus (440 BC) later wrote of this ziggurat, which he called the “Temple of Zeus Belus”, giving an account of its vast dimensions. The already decayed Great Ziggurat of Babylon was finally destroyed by Alexander the Great in an attempt to rebuild it. He managed to move the tiles of the tower to another location, but his death stopped the reconstruction. Since then only the base remains, but it is visible from Google Earth, which places its location at 32.5362583°N 44.4208252°E just south of Baghdad.